Today I moved into a new office at the law firm — from a tenth floor office on the atrium to a sixth floor office with a window overlooking 12th Street. As I was settling into my new digs, I heard some creaking noises. Then I felt a bump. That’s strange, I thought, another office move upstairs must not be going so smoothly. 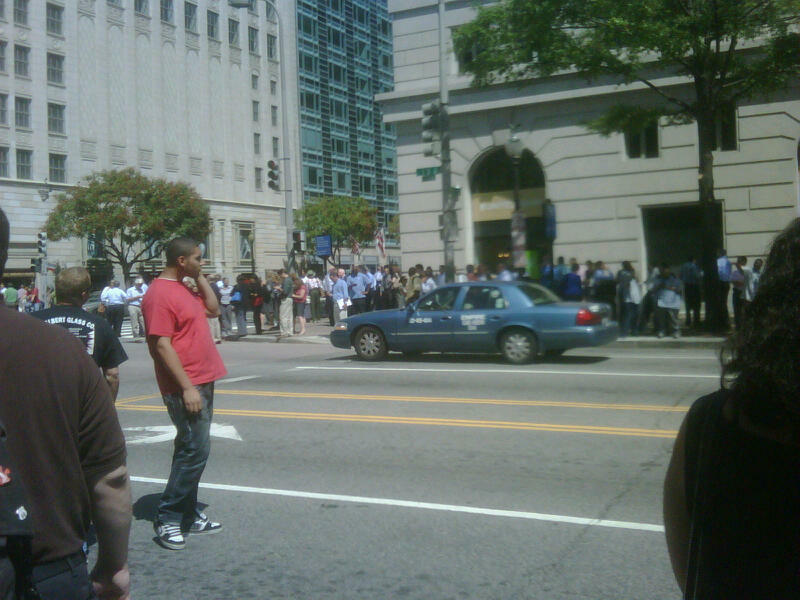 But then there was another bump, followed by the entire building’s shaking dramatically for several seconds. I don’t care how much furniture they drop, there’s no way clumsy movers can make a building shake like that. 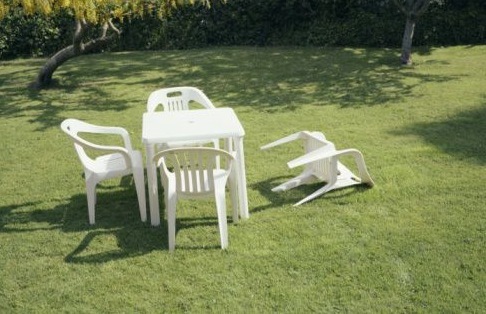 I wondered if it was an earthquake but was reluctant to believe it because, well, this is DC, not San Francisco. So I looked out my window (yay for having a window after three years!) and saw people streaming out of all the buildings I could see. Then the fire alarm went off. So I put a quick post into Facebook (to show that I’m up on current events), grabbed my briefcase and laptop, and headed outside. 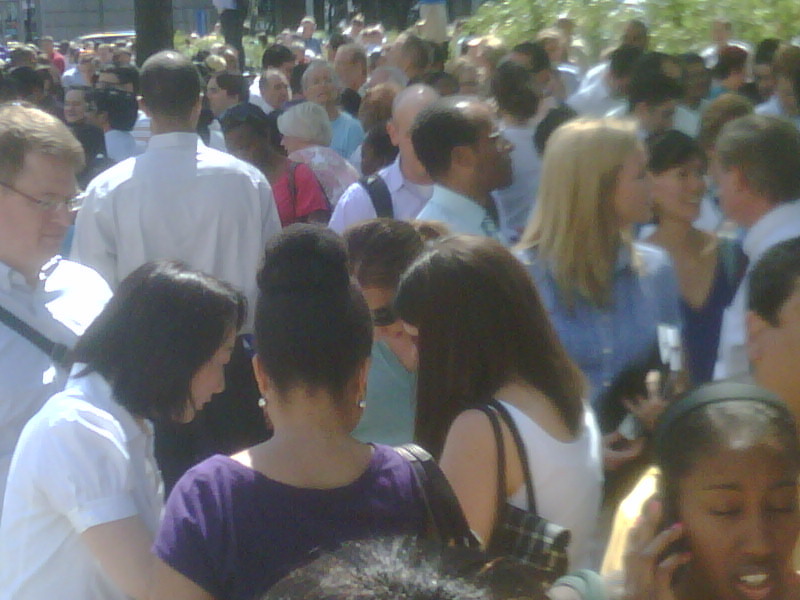 There I milled around with hundreds of other evacuees from nearby buildings. The atmosphere was a three parts cocktail party (I worked my way around the plaza mingling with colleagues and friends that I hadn’t seen for many months) and one part apocalypse (a woman walked terror-stricken through the crowd spreading rumors that a building had just collapsed on Pennsylvania Avenue; a rickshaw driver rode through the streets prophesying the end of days). The weather was perfect. Most wireless services were down, so I wasn’t able to get information quickly. The Washington Post‘s website never loaded, but eventually I got CNN to load. 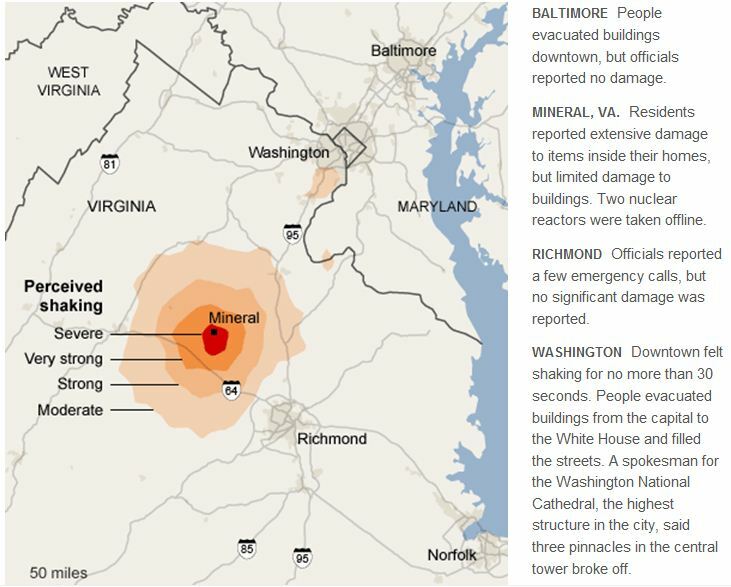 I learned that there had been a 5.8 earthquake near Richmond. Despite the odd circumstances and the masses of people who were out in the streets, things were really very calm and orderly. It was clear, though, that the people in charge had no idea how to handle the situation. At first they wouldn’t let us back into the building because they were worried about structural safety. Then they let us back in long enough to get our things and get out — but they kept the elevators running, which would have been a terrible idea if there were actually structural problems! The office was closed for the rest of the day. That would have been fine if (a) I hadn’t had a series of important conference calls scheduled all afternoon, and (b) I had a way of getting home (I commute via subway, which wasn’t running). Fortunately, both problems were solved at once: Catherine, the partner that I was supposed to join for the first call offered to give me a ride home (she also lives in Arlington), with the idea that we would dial into the call from her car. That sounded like a better option than cramming into the crowded subway or walking the five miles back to my apartment, so I accepted and spent the next two and a half hours negotiating a nationwide manufacturing and distribution agreement for a major pharmaceutical company while sitting in bumper-to-bumper traffic. 1. Hurray for FB in times of crisis! 3. … I just have to ask… did you get on the elevators?